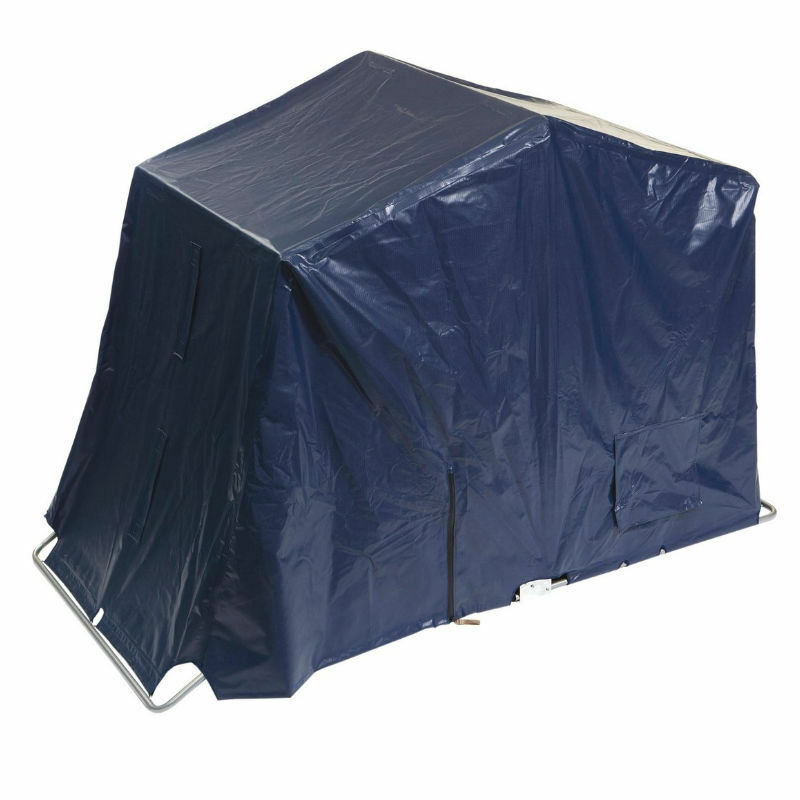 The Scooter garage is the perfect solution for those who want a secure place for their scooter. 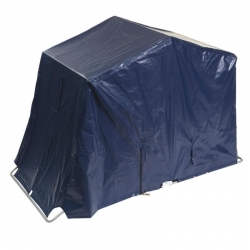 Simply drive onto the metal base plate, pull the cover over and secure with the padlock, which is concealed behind a zip at the base of the shelter cover. The shelter arrives flat packed but assembly is quite simple. Bolt the base plate to the frame, connect the aluminium bars and fit the cover. Full instructions are included. 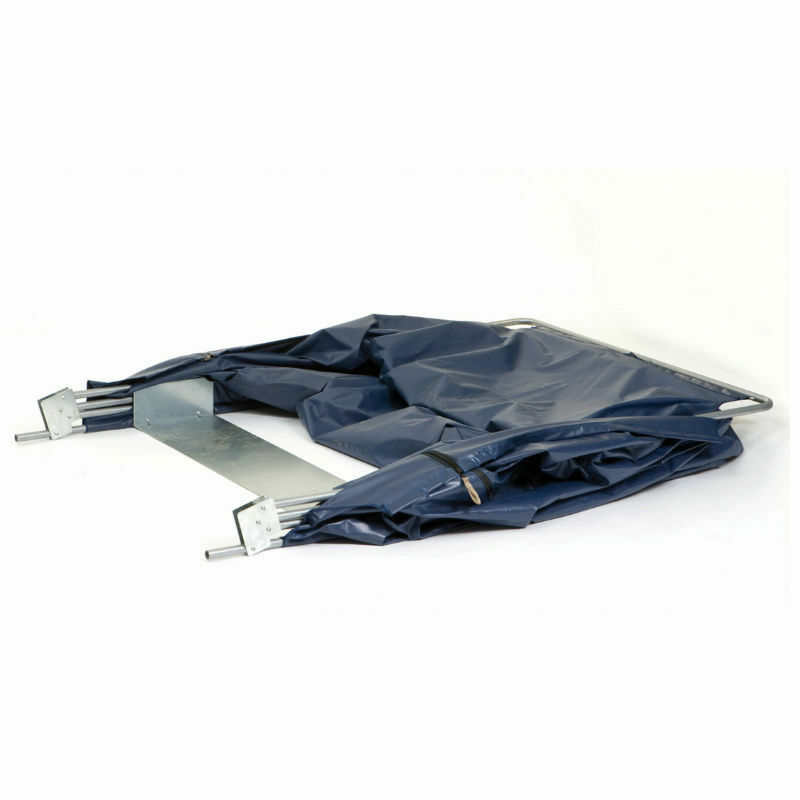 The rear support bars, which support the shelter at waist height, prevent you from bending down to lift the shelter from the floor. Charging flaps are situated either side for easy access. The locking arm also be secured at either side. 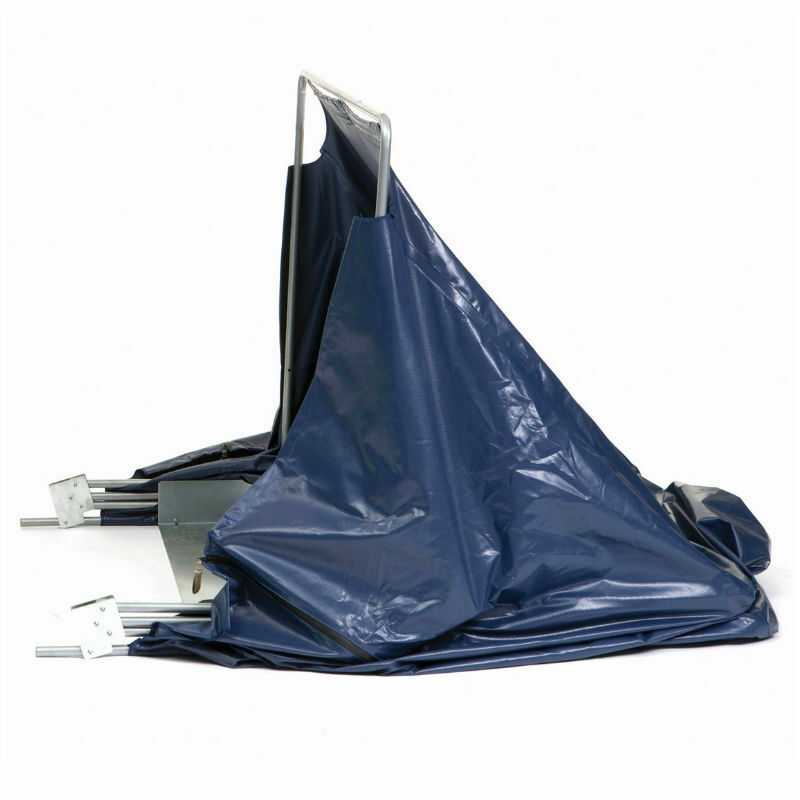 I bought this to keep my scooter sheltered in bad weather outside my bungalow, its really easy to install and is made from a good strong waterproof material. Worth the money as its much more robust than cheaper ones.